Bollywood Theater is open for business. Photo by Laura Dart; courtesy of Kinfolk. Kinfolk, a gorgeous indie magazine celebrating global food and design, recently went digital; their charming city guides have made their way onto our 24 Best Blogs and Websites 2014. Want a little taste of what they offer? Team Kinfolk gave us a rundown of favorite spots in their charming hometown of Portland, Oregon. Treasure hunting at Bernadette Breu experience. Photo by Laura Dart; courtesy of Kinfolk. If we had to select just a single place to decorate our homes, this would be the spot. 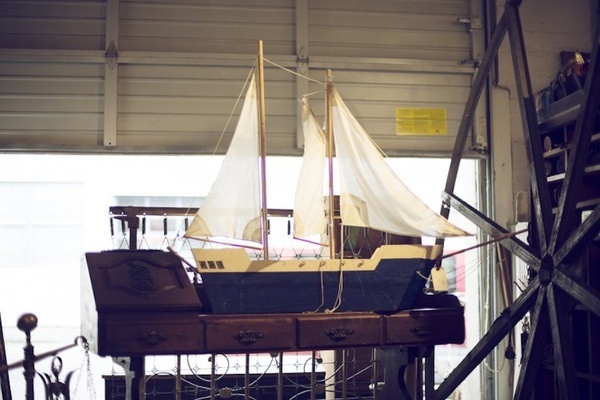 Opened in industrial Southeast Portland in 2007 by a woman of the same name, antique shop Bernadette Breu Experience is a true gold mine filled with everything from moose antlers to old trombones, copper kettles to garden lanterns. Bernadette knows a thing or two about old treasures — she often salvaged pieces from stone piles near the dairy farm she grew up on and spent time working in a conservation lab restoring rare books. "My goal is to offer a wide variety of objects for your home and garden that sometimes go against the current of mainstream ideas about antiques," she says. "All the pieces in the store — edgy and refined furniture, lighting, antiques, decorative arts — find me, not the other way around." It's quite the cluttered space with seemingly no rhyme or reason to its layout, but with a bit of digging and rummaging you won't be able to leave without a new gem for your home. Serving up delicious Indian food at Bollywood Theater. Photo by Laura Dart; courtesy of Kinfolk. Whenever some American-born white dude has the audacity to open a restaurant serving authentic cuisine from some faraway land, there is reason for concern. But in a town like Portland, where we've learned to trust many white guys with exotic cuisines, and where there is a dearth of good Indian food, Bollywood Theater was a welcome addition indeed. 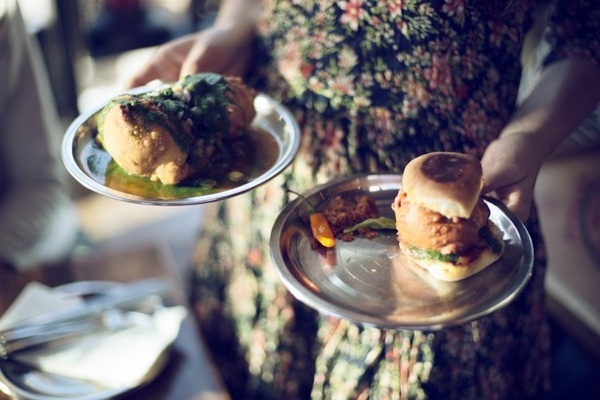 Former Chez Panisse chef Troy MacLarty (also of Family Supper, Lovely Hula Hands, Laurelhurst Market) opened the colorful, casual South Asian street food eatery Bollywood Theater in March 2012 on Alberta Street in an attempt to fill a void in the Portland food landscape. It's become a popular fixture for those who like some spice and heat, and the type of dishes that inspired MacLarty are pretty obscure in the Pacific Northwest. The vegetarian-friendly menu is divided up into street food (we like the aloo tikki, bhel puri, and dahi papri fhaat), small plates (pork vindaloo, egg masala); Thali meals (masala, curry, shrimp); vegetables (okra, Bbeets, raita, etc. ); and cocktails (including Pimm's, lassis, Chai), a fine beer selection, wine. Inside Alder & Co. Photo by Joanna Han; courtesy of Kinfolk. When owners Rebecca and Carla opened Alder & Co. in May of 2010, they set out with the intention of creating an interesting environment that offers goods from "various artists, various places, and various prices." Today that idea has grown into a shop that fulfills just that — providing something for everyone and any occasion. Each product is carefully selected with its artist in mind, whether it's found locally, in a small town across the U.S., or in a metropolitan city abroad. For the owners, this means turning their vacation travels into a chance to buy new and unexpected items for the space. With the latest products filtering weekly through the shop, Alder & Co.'s favorites are continually changing. But there are always certain shop staples: apothecary products from Aesop, candles from Astier de Villatte, and handmade measuring spoons from a local artist are in stock year round. 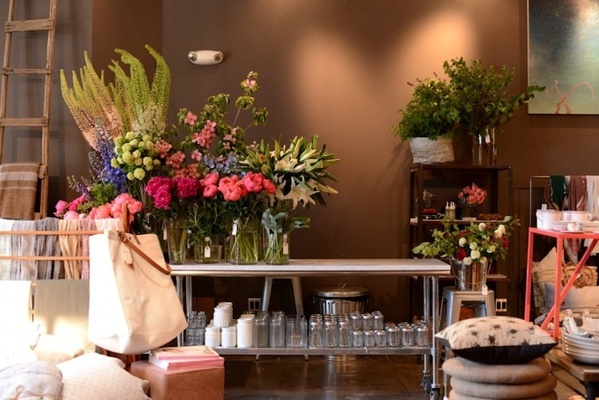 After recently settling into its new home on 12th, the Alder & Co team has welcomed a new collaboration with Hilary Horvath Flowers, which adds a fresh new element to the shop and completes the owners' concept of creating "one stop shopping for something pleasing to the eye, nose, and hand." A slice of pie at Sweedeedee. Photo by Laura Dart; courtesy of Kinfolk. Named after a love song by Michael Hurley from the 1971 album Arm Chair Boogie, this gem of a café has been charming Portlanders with its yellow striped awnings, tempting sweet treats, and cozy, cottage-like interior since it opened in late summer 2012. 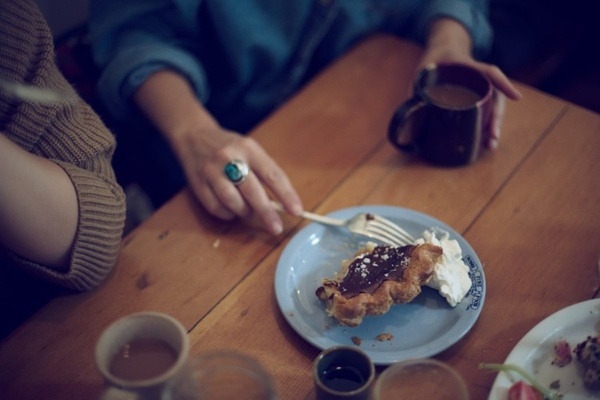 Located in a lovely little pocket of North Portland, Sweedeedee is one of our favorite spots for enjoying a slow lunch or afternoon coffee and a slice of pie. Eloise Augustyn began baking as a child with her grandmother. "She baked 15 loaves of bread a week to share with her kids, and I'd help her shape the dough," she remembers. She later spent a decade in rural Wales, learning how to cook and garden and picking up a love for beekeeping. "I was so inspired by the beekeepers of my community there. When I moved back to Portland I started collecting wild swarms in the spring to house in hives in my backyard." Naturally, the honey from those bees ends up in her baked goods, including the earthy-sweet honey cake and the salted honey pie — both of which are tooth-achingly sweet and pair well with a cup of black coffee or hot tea. The breakfast burrito, featuring local Hot Mama Salsa — "a small-batch wonder made from scratch across the street"— is excellent, as is the breakfast plate: freshly baked brioche or cornmeal molasses bread, Simington Gardens greens, house-made preserves, a baked egg, bacon, seasonal fruit, and a hearty piece of Grafton cheddar. "This plate captures the way I like to eat: simple and delicious." All ingredients are grown or sourced as close to Portland as possible. Eloise and her team are happy to pack you a lunch for a picnic or make the pies for a special dinner. The place gets quite hectic on Saturdays and Sundays, so we think it's best to stop in on a weekday. These selections were excerpted from Kinfolk's Portland Guide, and are republished with permission. 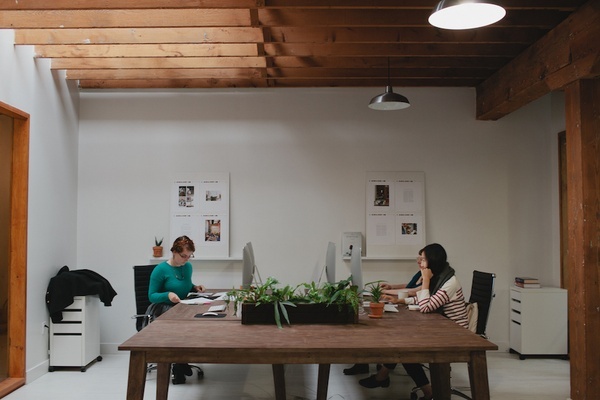 Kinfolk's adorable Portland office. Photo by Carissa Gallo; courtesy of Kinfolk. Kinfolk is a beautifully written and photographed print magazine that celebrates food, style, and culture around the world. Team Kinfolk travels for the senses.